Did Pelosi just call Biden a dummy for not knowing it might be offensive to smell someone’s hair, er, invade another person’s space? Remember how Ilhan Omar Did Not “Understand The Full Weight Of The Words She Used” after spewing her Jew-hating rhetoric. Why is the party that fashions itself as the defender of all women from bad, bad men, divided about how to respond to the aptly nicknamed “Creepy Uncle Joe”? Because they stand not for what’s right, but what’s convenient. Today’s liberal establishment is one of opportunism and grifting. Don’t get me wrong — people do matter to Democratic Party leadership — as fodder in their various issue cannons. In 2019, a 79-year-old politician is telling a 76-year-old man who’s been in national politics for 47 years how he should behave around women. House Speaker Nancy Pelosi was asked about allegations again former Vice President Joe Biden, and she had some stern advice: Keep your distance…. This section is for comments from tammybruce.com's community of registered readers. Please don't assume that Tammy agrees with or endorses any particular comment just because she lets it stand. 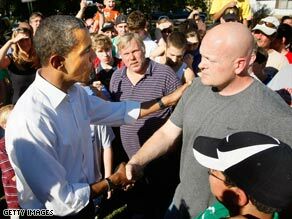 For what it’s worth, I remember the way Obama kept touching Joe the Plumber in his famous exchange. This symbolically expresses what’s wrong with our politicians; they simply refuse to respect the space of those they serve. Donations are always welcome from subscribers and non-subscribers. “TammyBruce.com is a participant in the Amazon Services LLC Associates Program, an affiliate advertising program designed to provide a means for us to earn fees by linking to Amazon.com and affiliated sites.” © 2017 Tammy Bruce presents LiveWire..